Each brush is packaged individually in a box. There were no instruction pamphlets inside on how to use it except what was written in the back of the box. I wish that they also included instructions on how to care for these brushes since they are a bit different than the makeup brushes we're used to seeing. These brushes definitely has a very luxurious look and feel to them. The brush head is very dense, and the bristles are very, very soft. According to the manufacturer, they're packed with hundreds of thousands of Cosmefibre which is engineered, monofilament fibres meaning no animals were harmed in making this product. The brush feels really nice when you use it on your face, and I found that it distributes the product much more evenly. The brush handles have a rubber grip which prevents the brush from slipping through your hands. The down side of the rubber grip on the handle is that your makeup will stick to it. You have to make sure to wipe it down if you don't want it staining the handle. I also love the smoke finish of the brushes as it gives it a sleeker look. 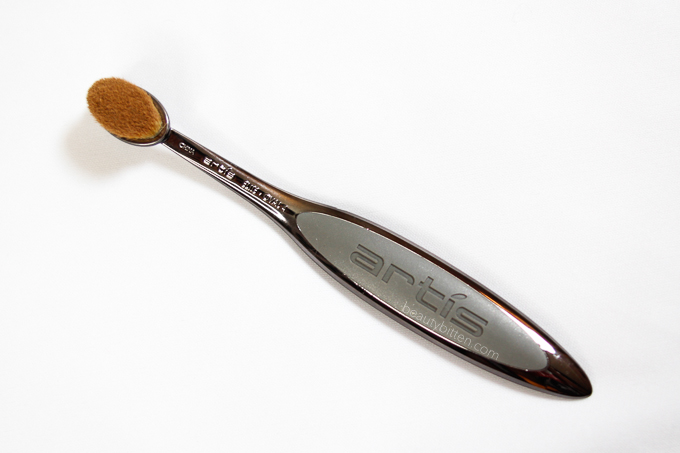 The Artis Oval 8 brush was designed for applying and setting your foundation. I feel that the brush head the right size and big enough for my face, and it has made my foundation application faster after using this brush. Prior to using this brush, I've experienced foundation streaking on my face when I used my it Cosmetics Your Skin But Better CC cream in Medium as my foundation. Using my BeautyBlender made it better, but my foundation felt a little caked on my face. However, after using this brush, it gave me a nice and even application of the foundation while giving it an airbrushed and flawless look. It really looked like skin but better especially when I look at my face in the car with daylight hitting it. I feel like sometimes my face look much more caked on in daylight. I found that the brush also doesn't absorb the product because of its density. Since this brush is made differently than what I've been accustomed to, there is teeny bit of a learning curve using it. My first reaction was to buff my foundation, but it simple gliding motions of the brush works best. Although blending out my concealer works well with this brush, I find that the brush head is a little bit big to get in the nooks and crannies of my face. 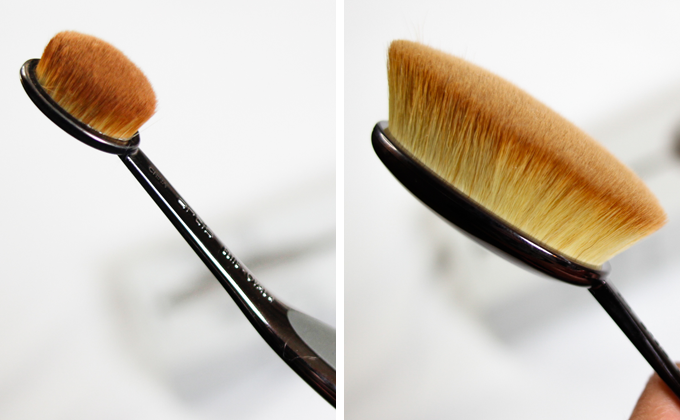 Nonetheless, I really love this brush in applying my foundation since it feels incredibly soft on my face. 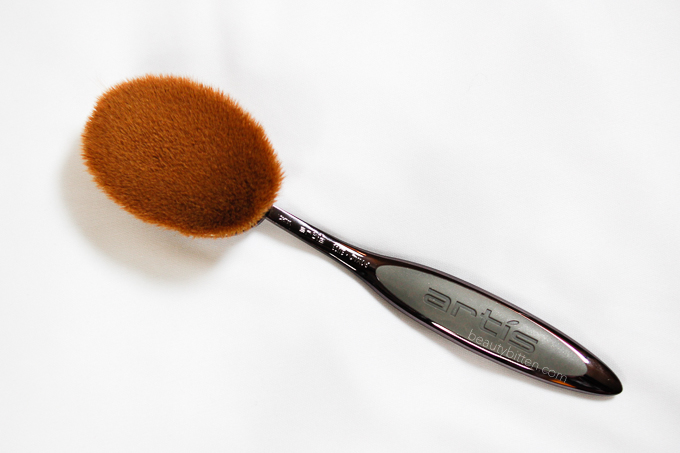 The Artis Oval 4 brush was meant for contouring and highlighting your face. This will also work better for blending out your concealer since the brush head is smaller. It also claims that this brush works well in applying your eyeshadow, but I've only have tried it as a contour and highlighting brush. If you've seen my Get Ready With Me videos on Youtube, you probably notice that I don't spend too much time contouring my face. I've only started doing it recently with a M.A.C stippling brush prior to using the Oval 4 brush. The Oval 4 brush made it so much easier for me to contour my face without it looking unnatural. My gripe about contouring before was that I used to have a hard time really blending out the product on to my face to give it more of a shadow effect rather than a stark muddy line on my face. However, with this brush, I found that it helped diffuse the powder on my face and makes it easier to blend out any harsh lines. As far as using it as a highlighting tool, I still prefer using my angled blush brush since I like to load up on the glow. However, if your aiming for a subtle glow, this brush is for you. I'm also going to start using this brush to blend my concealer. 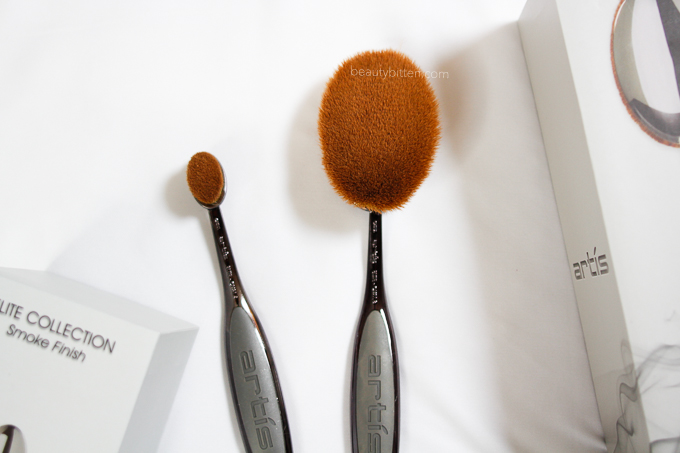 And those are my thoughts on the Artis Oval brushes. With that said... I know the price tag of these brushes are steep. If I were to choose one brush out of the entire collection, I'd definitely suggest the Oval 8 brush since having a nice face canvas makes a world of a difference in your makeup. You can apply and set your foundation as well as blend your concealer flawlessly. Not to mention, the brush just feels really good on your skin and I noticed a much shorter time spent in my foundation routine. Less time spent in blending out your foundation and more time for other things. 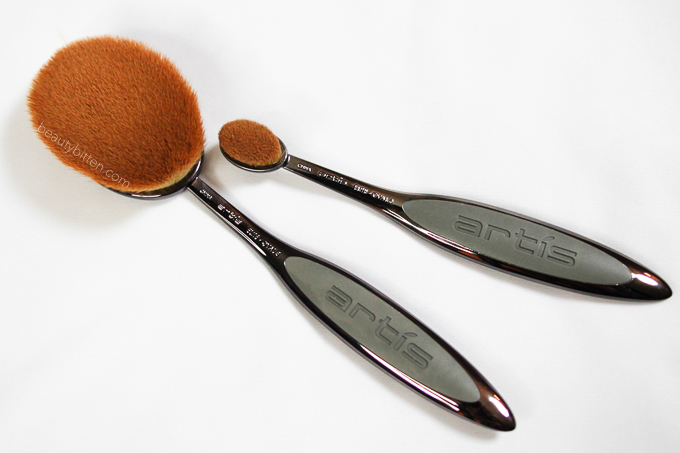 What are do you think of the Artis Oval brushes? Have you tried it yet or thought about making the investment on these brushes? 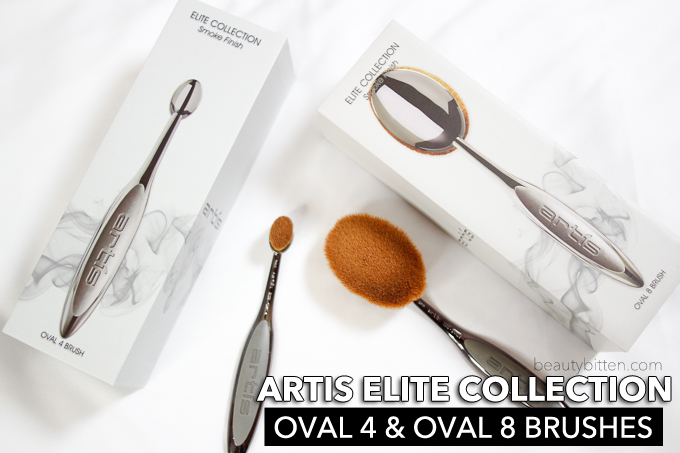 Disclosure: The Artis Oval 4 and 8 brushes were provided by the PR company for consideration. This is not a sponsored post. All opinions are my own and are not influenced by the company. Please refer to my DISCLAIMER page for more information. Hi Ate Anne can you make a video on how to start your own blog?